Photo: Radek Tezaur. Luxury Chile Tours & Travel. Since our tours are private, you may depart on any day you wish, and any tour can be modified to meet your needs. Our chosen hotels embody luxury and history. We are proud of these charming boutique hotels -- the 5-star The Aubrey has only 15 rooms, the 4-star Awasi 8 rooms, the 4-star Petrohue Lodge 20 rooms, the 3-star Estancia Cerro Guido 15 rooms, the 4-star Hotel Altiplanico Puerto Natales 22 rooms, the 4-star Hotel Altiplanico Easter Island 11 rooms and the 4-star Zerohotel only 9 rooms. Because our chosen hotels are so small, we recommend booking a tour as far in advance as possible. Excursions are private. All prices are per person based on two people sharing a guest room. For a detailed description of our services, see Opulent Itineraries. Intra-tour air fares are additional. Chile Explorer (12 days/11 nights) focuses on Chile's most popular regions: the Atacama Desert and Patagonia's Torres del Paine National Park. 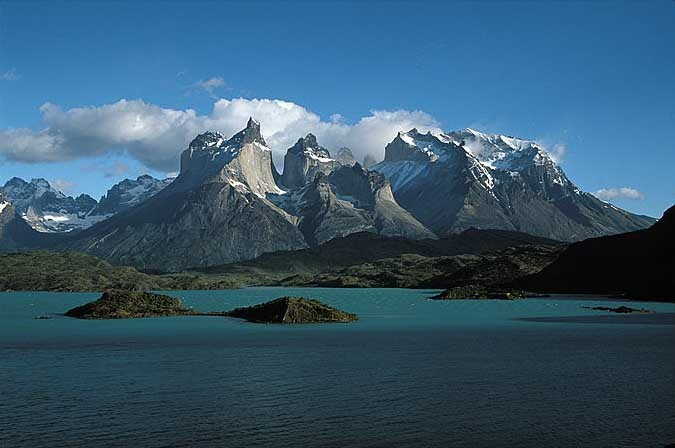 Atacama, Lakes & Torres del Paine (14 days/13 nights) adds the Lake District, while The Grandeur of Chile (19 days/18 nights) further adds Easter Island (5 days/4 nights). A forerunner in combining luxury with culturally and ecologically responsible travel, Inka's Empire Tours presents thoughtfully crafted, private excursions that reveal the history and landscapes of South America. 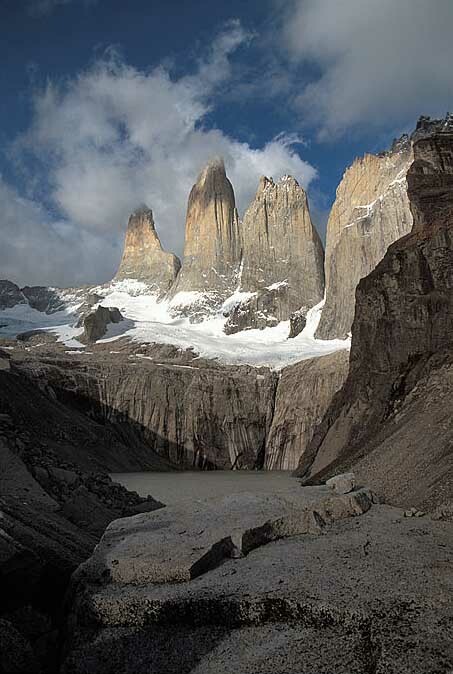 Beginning and ending in Santiago, the Chile Explorer tour is a study of natural beauty in extreme environments. It comprises memorable sojourns at exquisite hotels -- one in the Atacama Desert and the other in the Torres del Paine National Park of Chile's Patagonia region. 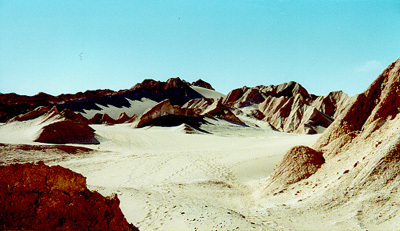 Atacama may be the driest desert on earth, but it is dappled with rare forms of water. El Tatio Geysers and the lagoons of the ancient Atacama Salt Lake provide glittering counterpoints to the arid landscape of the Valley of the Moon. In the south, Torres del Paine, lush and yet equally dramatic, is home to Grey Glacier and the great waterfall of Salto Grande. In both locales, the luxury of the hotels is a stunning contrast to the untamed landscapes around them. Five-star accommodations in Santiago's The Aubrey are equally posh. 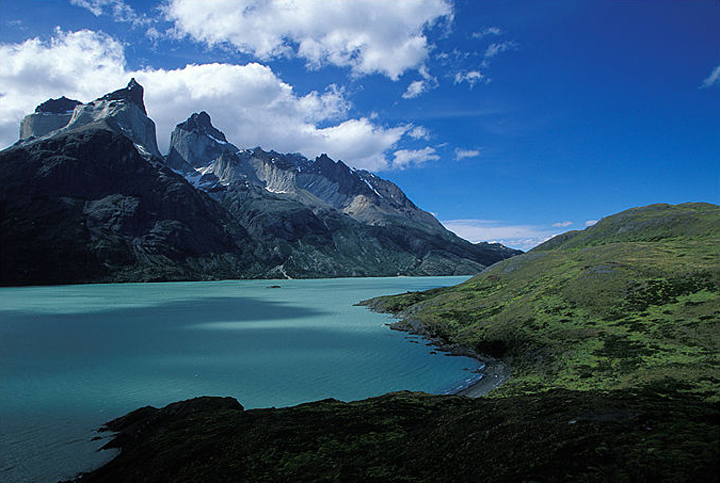 Discover the majesty of Chile on this remarkable 11-night encounter. Photo: Miranda Loh. Luxury Chile Tours & Travel. A gracious, knowledgeable host and a curious, discriminating guest -- it's the perfect combination. Take this mix, add a magical location, and you have an expedition from Inka's Empire Tours. Thoughtfully crafted and fully guided, its sumptuous itineraries include the Atacama, Lakes & Torres del Paine adventure through the ecological wonders of Chile. Beginning and ending in Santiago, this private journey reveals three distinct faces of nature -- the Atacama Desert, the Lake District and Patagonia. At the same time, indulge in creature comforts, such as stays in The Aubrey and the Zerohotel. Atacama, the driest desert on earth, is a paradox of unusual manifestations of water, from the small but exquisite salt ponds in the Valley of the Moon to the lagoons of the Atacama Salt Lake, the oasis of San Pedro and the geysers of El Tatio. In the Lake District, volcanoes shimmer beneath the water as you cross Lake Todos los Santos. Further south, in Patagonia, the pampas steppes of the Magellan province are home to distinctive fauna, the Milodon Cave preserves the remains of a giant sloth that lived there around 12,000 years ago and icebergs crash into Lago Grey from the massive glaciers beneath the spires of the Torres del Paine. Greet Mother Nature at her finest on this exclusive 13-night adventure. When it comes to exclusive, privately escorted expeditions, Inka's Empire Tours has always offered its guests the very best in guided luxury travel. The superlatives don't end with the attractions themselves, which include such marvels as the earth's driest desert and the world's most remote island. These and other amazing destinations are included in the wide ranging Grandeur of Chile exploration. Arriving in and departing from Santiago, your encounter with the beauty of nature in extreme environments begins amid the moonlike landscapes of the Atacama Desert and finishes among the stone idols of legendary Easter Island. In Atacama, experience such natural wonders as the eerily silent Valley of the Moon, four-million-year-old Atacama Salt Lake and breathtaking El Tatio Geysers. Cruise in the scenic Lake District, where the Osorno, Puntiagudo and Tronador volcanoes crown Lake Todos los Santos. A visit to the penguin colony at Otway Sound precedes a ramble through Torres del Paine National Park. After four days of exploring the enigmatic archaeological sites of Easter Island, return to the mainland for an exclusive stay in Valparaíso's Zerohotel. Explore the grand natural beauty of Chile on this 18-night ecological excursion. Photo: Cliff Wassmann. Luxury Chile Tours & Travel. Easter Island, or Rapa Nui, is an open-air, archaeological museum of a fascinating but vanished culture, a stark lesson in what can happen when humans fail to live in harmony with nature. 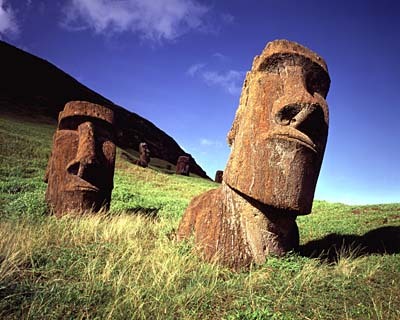 We still do not know for sure how or why the first inhabitants carved, transported and raised their monolithic stone statues, or why the "moai" gaze inland instead of out to sea. But, as you walk with your private guide, you can contemplate the enigma of almost 900 mysterious idols created over a period of five centuries by a civilization that later tried to destroy them. Inka's Empire Tours, long recognized for its handcrafted itineraries to uncommon destinations, invites you to The Idols of Easter Island. Beginning and ending in Santiago, Chile, a flight takes you to the Pacific Ocean island known to its natives as "the navel of the world". Hike to the quarries at the Rano Raraku Volcano, where the stone statues were carved, to view about 300 of the moai in different states of completion. See standing moai at Ahu Tongariki, Ahu Akivi and Anakena Beach. Next, drive to the village of Orongo, once home of the birdman cult, immortalized in more than one-thousand artistically carved petroglyphs. Among the adventures is a walk to Ahu Vinapu, where the unique quality of the stonework may evidence a legendary Inca voyage from South America, twenty-four hundred miles away. Another adventure is a horseback ride to the highest point on the island for a panorama of an endless sea. Ponder ancient idols and a lost civilization on this 4-night expedition.